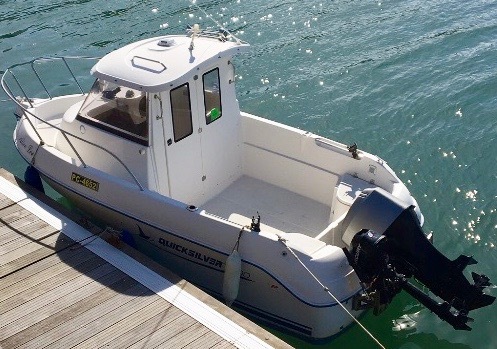 A fully equipped fishing machine for getting to the fishing grounds in the quickest time! 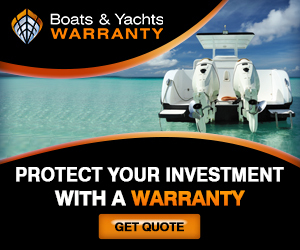 Quicksilver are one of the most popular Fishing Boats on the market. 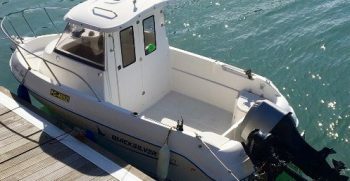 They offer the perfect platform for fishing, together with good specification and a comfortable cabin. 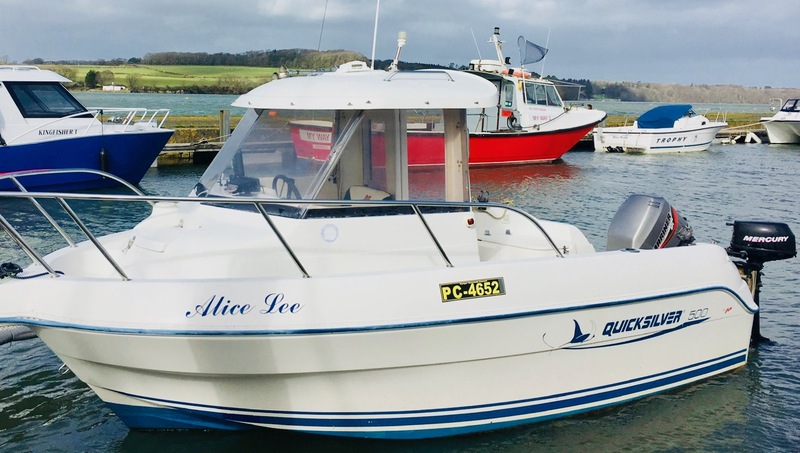 The clever design of the 500 Pilothouse featuring an offset cabin means more room sheltered from the weather without giving up a secure portside passageway forward. 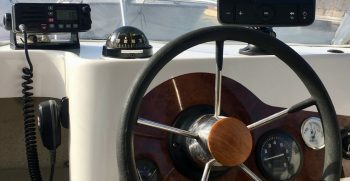 The 500 Pilothouse features the rounded lines common to the whole Pilothouse family. 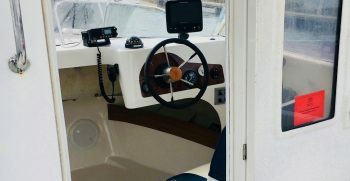 A spacious cockpit with more storage space than you would expect from boats of this size. 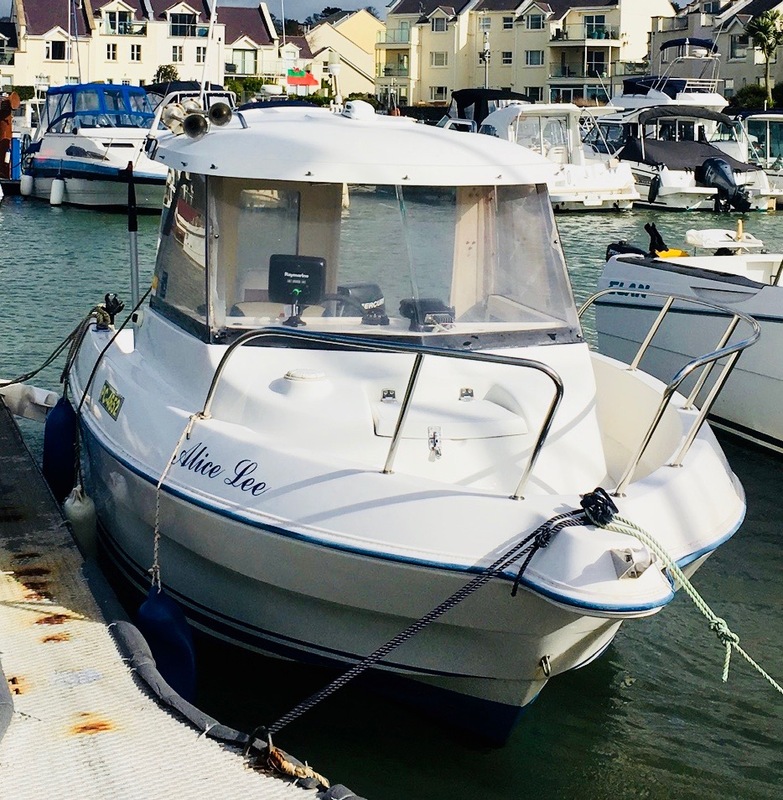 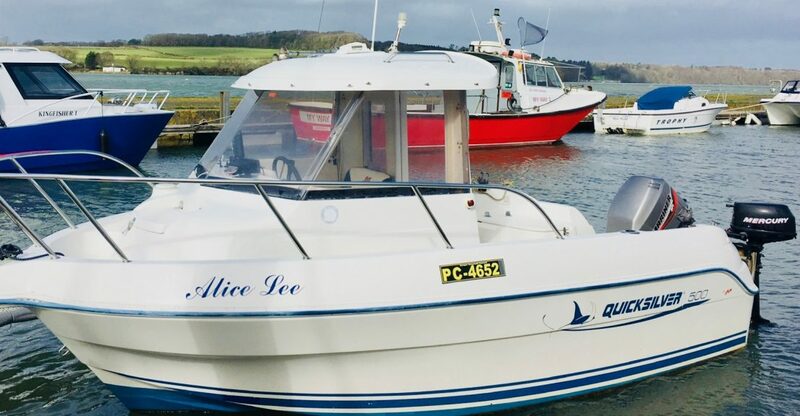 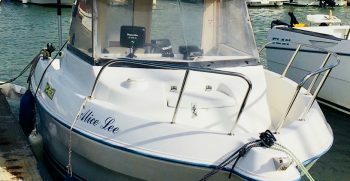 These pilot house boats are deservedly popular and have largely taken over from the Shetlands of yesteryear as they offer better fishing space, better visibility for the helm and safer foredeck working. 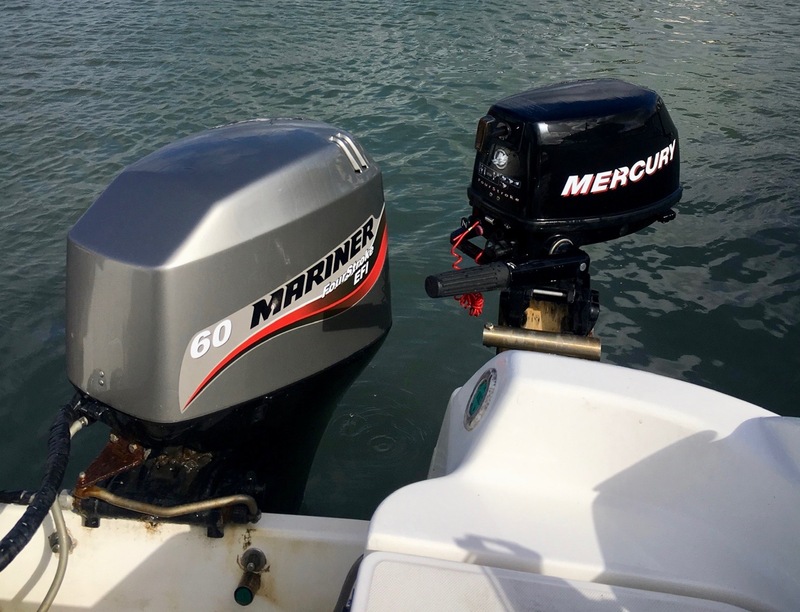 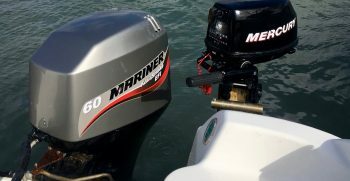 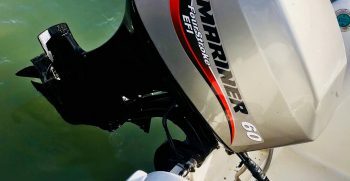 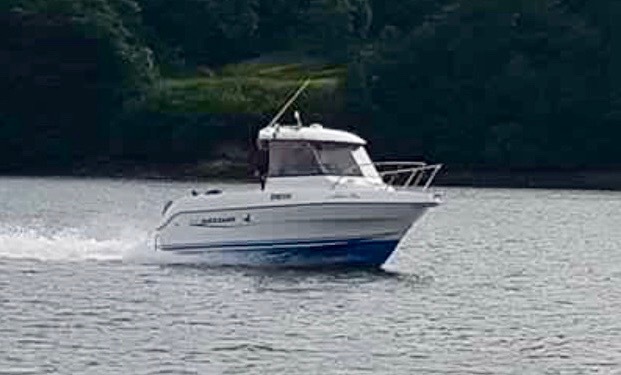 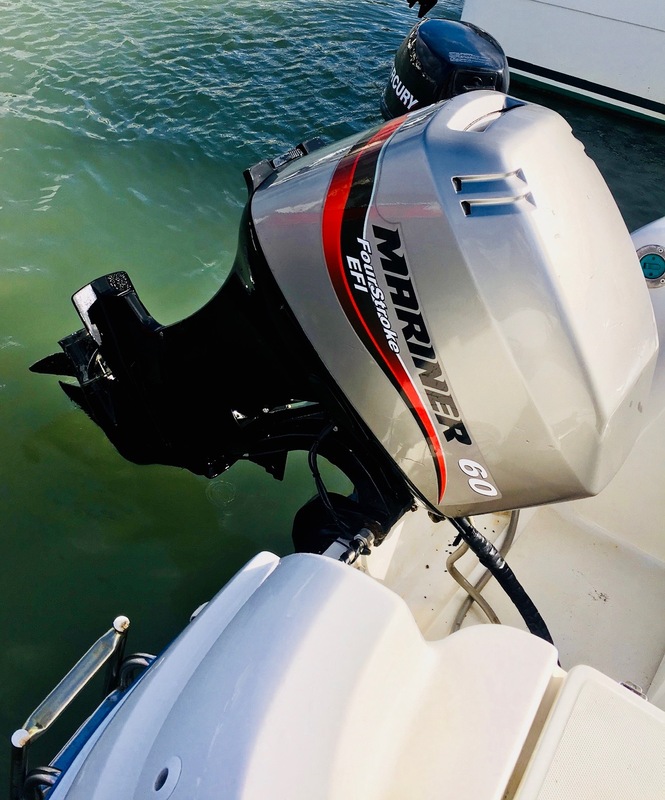 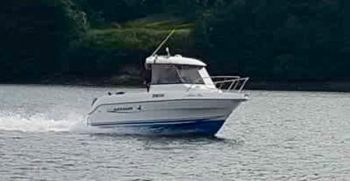 This 500 is powered by a very economical Mariner 60hp four stroke engine and have a Mercury 6hp auxiliary engine which is also four stroke. 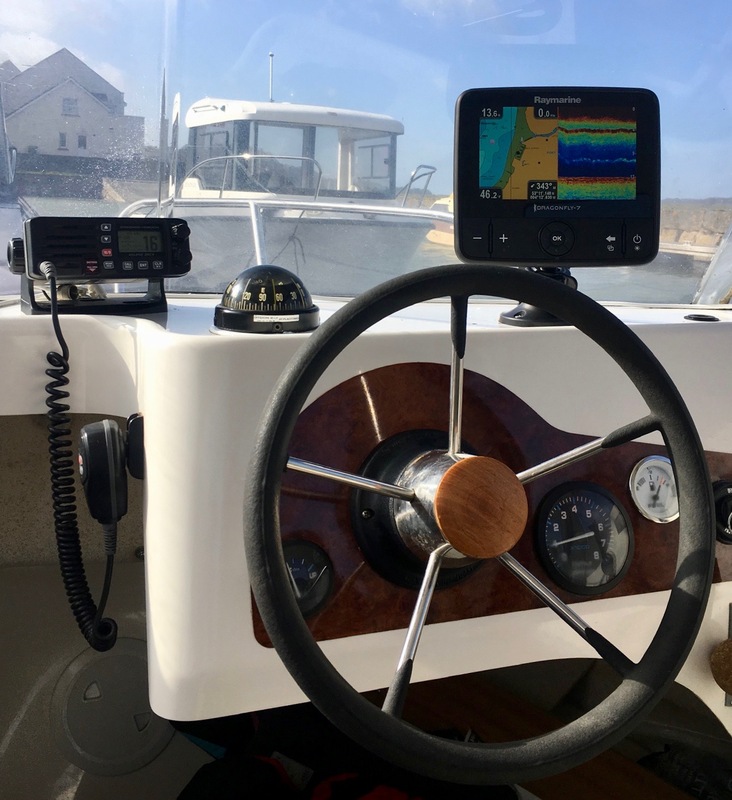 The boat comes complete with VHF, fishfinder and Snipe trailer. 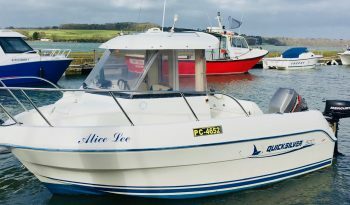 The boat and engine have been well maintained and looked after so all ready to get out on the water. 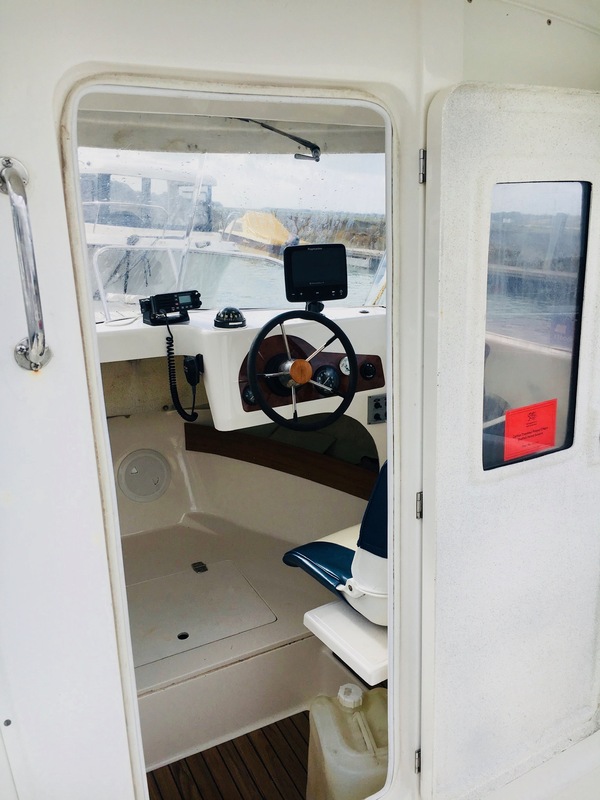 Comes with everything you need to get out on the water.